I did not have time to scour the entire stadium yesterday, as I spent most of the pregame time at Mikkeller NYC and then had a game to watch, so there’s a chance I missed something, but I don’t think so. Finding good beer shouldn’t be something hidden. First off, prices. Beers are up to $11.25 for a 12oz and $14 for a 25oz. That’s a lot. They were $7.50 when Citi Field first opened 10 years ago. 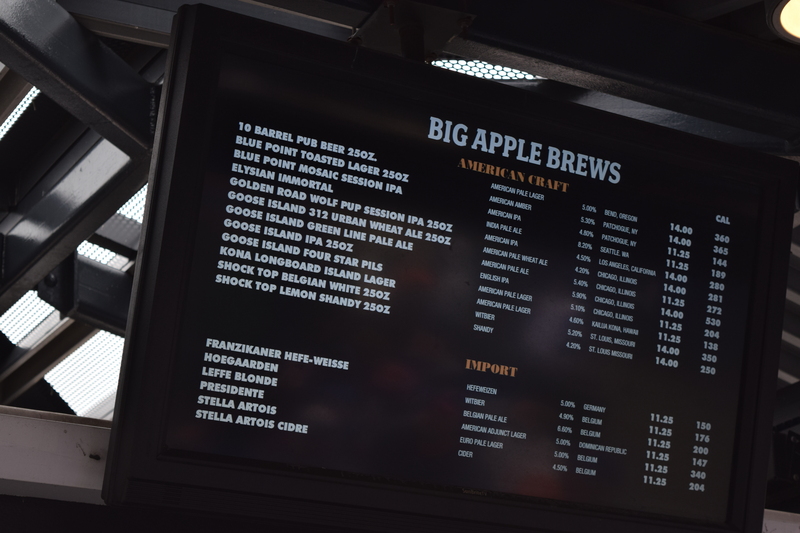 At Big Apple Brews the selection has been paired down over the years. It’s always been an Anheuser Busch-Inbev curated list, but now there’s less of the variety. Mostly the light lager stuff you see everywhere: Presidente, Leffe Blond, Stella, Franzikaner, Shock Top, etc. Followed by a bunch of AB-InBev’s choice of beers from their high end line of acquired craft breweries. These are the beers they’re trying to push nationally, with a touch of local because Blue Point is under that umbrella. Their Mosaic Session Ale is a good ballpark beer. So where’s the real craft? 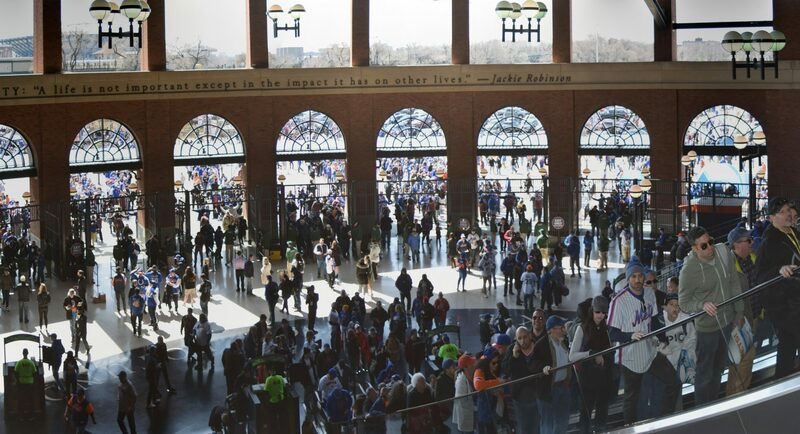 In previous years there was a stand behind home plate on the promenade, with a few drafts and a cooler. Now it’s a Goya stand. There were a few things scattered around the park, but the two main places I found were the “Empire State Craft” stands. The one that’s existed in the left field corner on the field level remains, and there’s a new one just to the third base side of the promenade behind home plate. This isn’t what I’d call a great selection or variety, but it’s roughly what’s been there the last few years. I had LIC’s Higher Burning and Mikkeller’s Henry Hops, and I enjoyed both. Hopefully as Mikkeller gets up and running they can sneak a few more cans into the stadium as the season goes on. I also wasn’t given the option of a cup for my beer, as I had in the past. 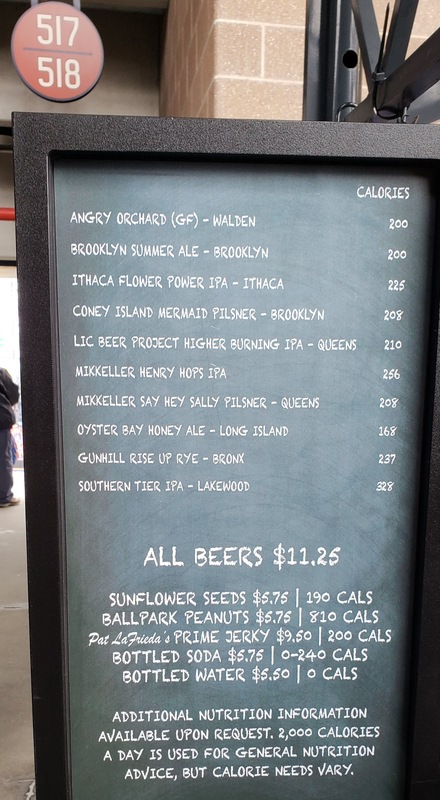 The Mikkeller NYC brewery just outside the Right Field gate, outside the stadium, was the real winner. I’ll have a more detailed review of that place coming up. Questions, Comments, Platitudes, Interview Requests, and beers can be submitted via email.